Disney’s upcoming streaming service, Disney+, is shaping up to have a pretty substantial catalogue of new Marvel content. Loki and Scarlet Witch are getting their own shows, and it looks like another Avenger is getting one as well. Variety reported that Jeremy Renner’s Hawkeye will be the star of his own miniseries on the new service. The new adventure series will see Clint Barton pass on the Hawkeye torch to Kate Bishop, a protege of his who takes up the Hawkeye mantle. 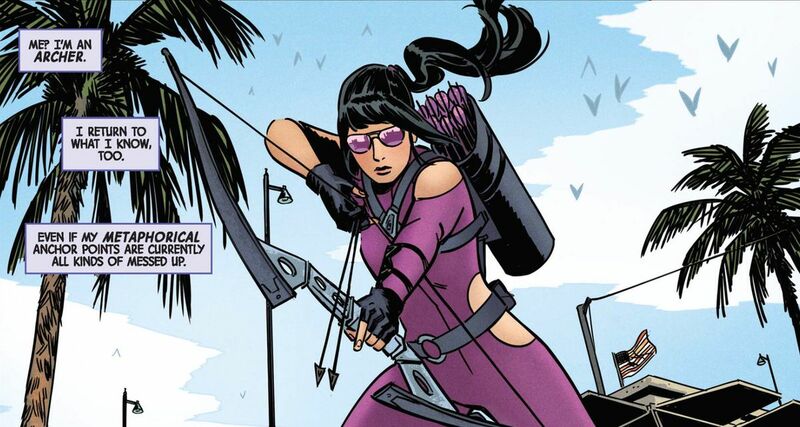 For those that don’t know, Kate Bishop is a member of the Young Avengers, a superhero team that consists of adolescents with connections to other famous superheroes in the Marvel Universe. Bishop inherits the role of Hawkeye, becoming the third iteration of the character and first female iteration overall. With this new series, do you think that Young Avengers will be in the Marvel Cinematic Universe? Are you excited about Disney+ and this new series?